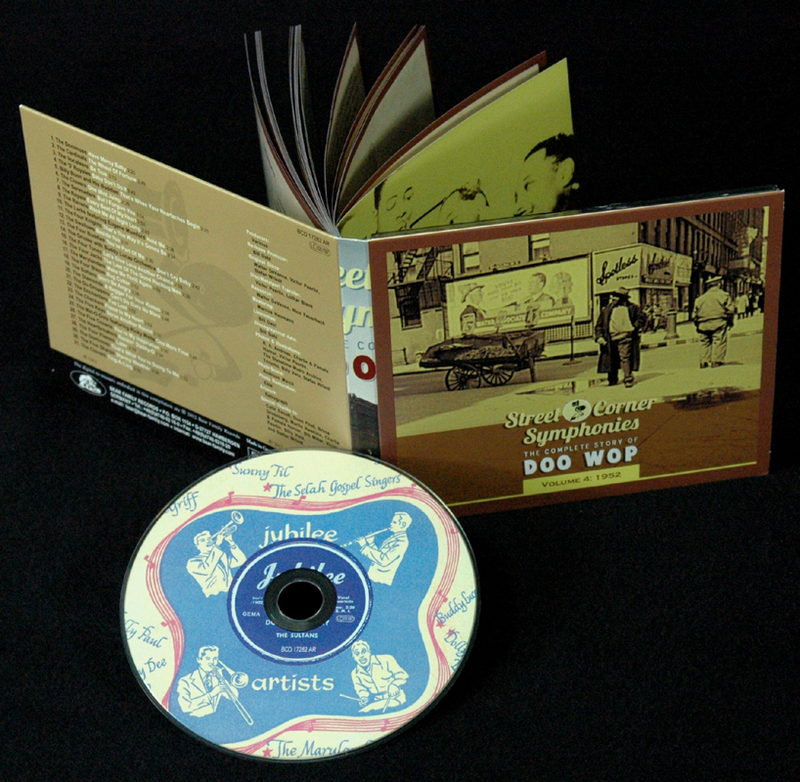 1-CD DigiPac (4-plated) with 84-page booklet, 31 tracks. Playing time approx. 85 mns. The R&B vocal group landscape was shifting in 1952. Groups that would persevere all the way through to the end of the decade as hitmakers - The Dominoes, The Clovers, The Five Keys - had taken their rightful place among the elite, in turn influencing the next crop of quartets and quintets. And more newcomers were already nipping at their heels: The Royals, The Checkers, The Serenaders, The Vocaleers, The Du Droppers. Some would be more successful than others, but all made valuable contributions to the genre's legacy. Particularly seminal was the increasing influence of gospel music, through the pioneering innovations of Dominoes lead tenor Clyde McPhatter and the unabashedly sanctified "5" Royales. Plenty more would integrate the sound of the church into the R&B lexicon as the decade progressed, but nobody did it better than those two. Time was beginning to run out on The Ravens, undergoing personnel changes aplenty even as they scored their last national hit. The Orioles weren't selling the way they once had either, but that would change. Veteran aggregations such as The Four Knights and Four Tunes struggled to stay relevant to record buyers. In the latter's case, they would find a way to achieve that soon. 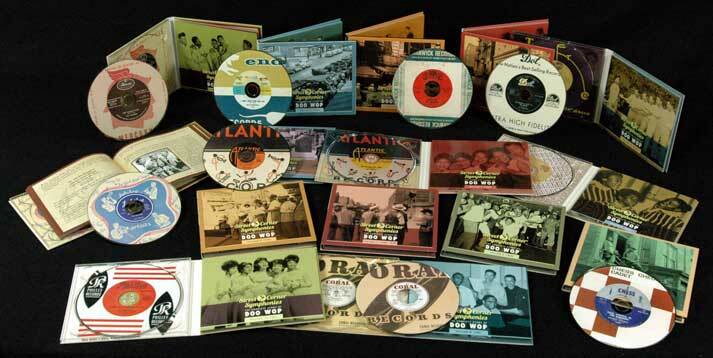 More than ever, feisty independent labels such as Atlantic, Apollo, Jubilee, Red Robin, King/Federal, Savoy, and Specialty were supplying a lot of the cutting-edge vocal group platters beginning to flood the R&B market. The majors had lost their mojo in that department, ceding the field to the indie operators who kept their ears to the ground for new talent. It was certainly out there to be had, up and down the East Coast from New York City and Philly to Baltimore and Washington, D.C., harmonizing in tenement hallways and under glowing street corner lamps. That's where the real training grounds were; a dime store demo disc or an amateur contest victory could bring an instant record contract from one of those little labels, resulting in overnight stardom for a gaggle of hungry teenagers who would have had no chance whatsoever at getting past the lead secretary at a major label's posh offices. That was the magic of the R&B vocal group movement. 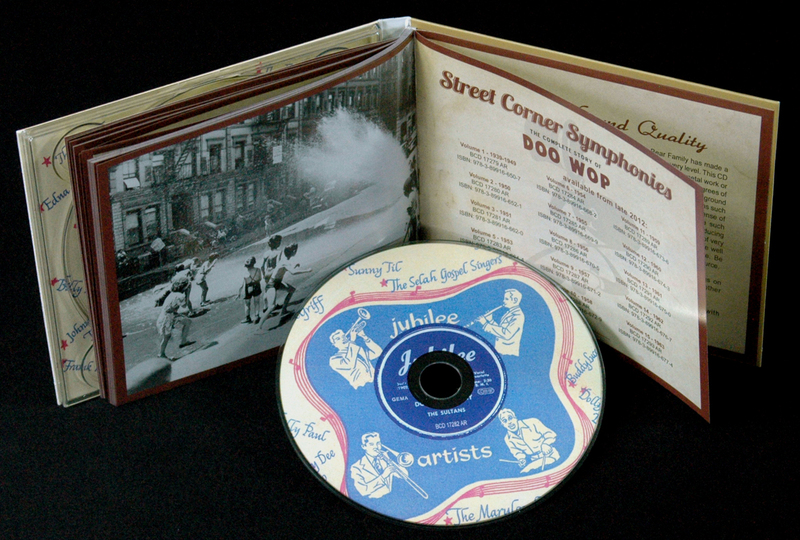 It spoke their language, rendering it indigenous folk music for African-American urban teens. 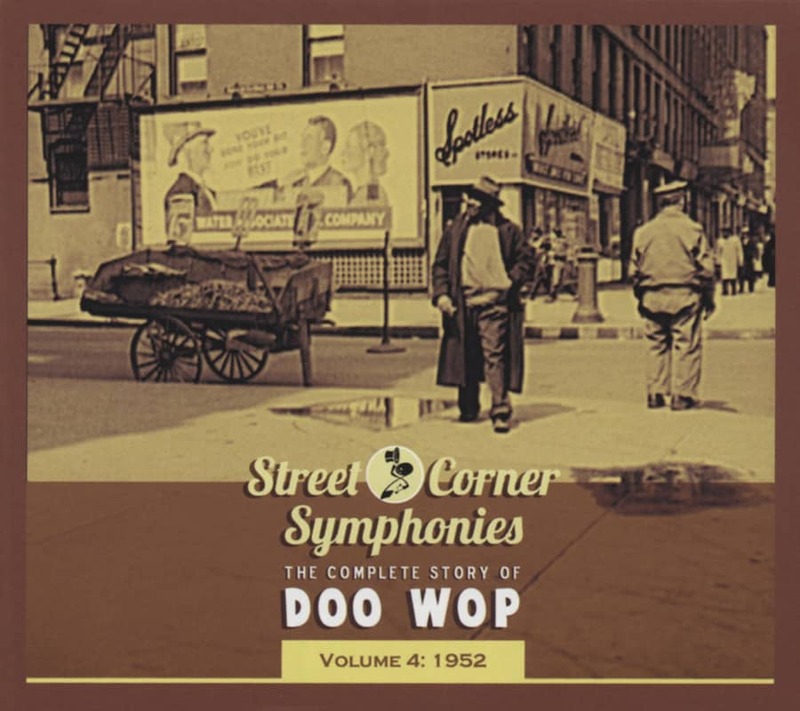 "Various - Street Corner Symphonies"
Doo-Wop is one of the foundation stones of Rock 'n' Roll. 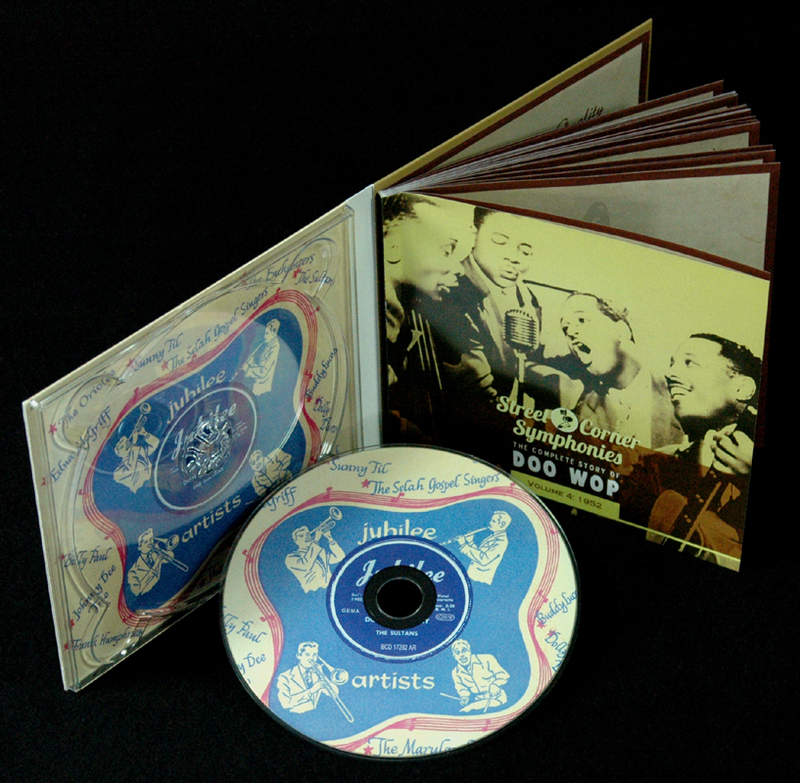 BEAR FAMILY will issue the defintive story of Doo-Wop from 1939-1963! The first five volumes covering 1939-1953 are out now! 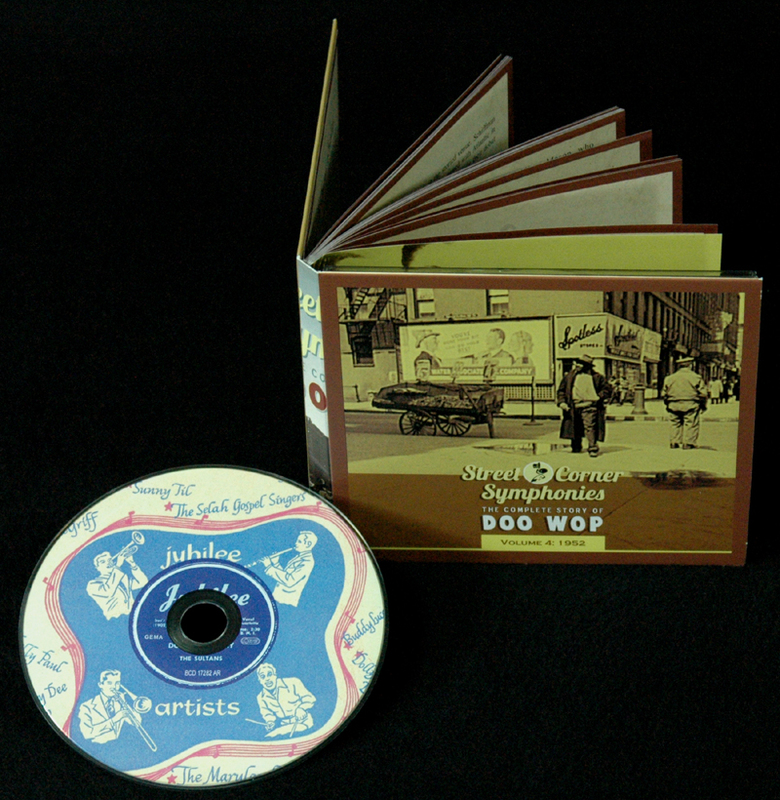 q Every Doo-Wop hit! Detailed song-by-song notes and amazing rare photos from the golden era! Like Rap, Doo-Wop music was an urban American art-form. It was sung on street-corners, in stairwells of tenement apartments, in high school toilets... and it was preserved for posterity in recording studios. Most of the performers were African American, and many of the songs were romantic – in sharp contrast to the bleak reality of urban African American life at the time. 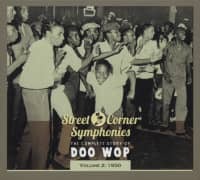 Doo- Wop had its origins in the black pop and gospel groups of the pre-World War II era, but it flourished in the years after World War II and became a major contributing force to the evolution of Rock 'n' Roll. In fact, some eminent cultural historians cite re- cords like Sixty Minute Man and Gee as among the first Rock 'n' Roll records. 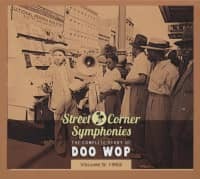 Both of those classics, along with many more, are on BEAR FAMILY's defintive history of Doo-Wop, 'Street Corner Symphonies.' As always, you can trust BEAR FAMILY to get it right. Starting in 1939 with pre-Doo-Wop acts like the Golden Gate Quartet, the Ink Spots, and the Mills Brothers, 'Street Corner Sym- phonies' will take the story until the end of the Doo-Wop era in 1963. 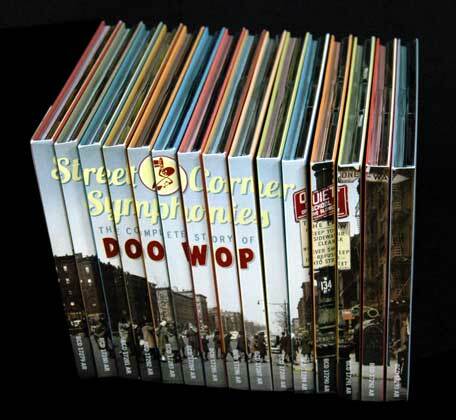 The first five volumes cover the years 1939 to 1953: in other words, Doo-Wop's true golden era. There are simply too many hits to list – just look at the track listing! Suffice to say that these were the records that provided the soundtrack to the Rock 'n' Roll revolution... and the records that changed American and global popular music forever. This series has been compiled and annotated by R&B music's foremost scholar, Chicago's Bill Dahl, and every song comes with detailed notes and illustrations. 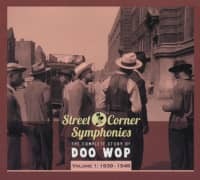 There have been plenty of Doo-Wop compilations, even a few Doo-Wop boxed sets, but this se- ries is the last word on the genre. Truly definitive! Every hit, every underground classic, every song that lit up the airwaves at the dawn of rock 'n' roll. Every shoop, every doop, every doo-doo-wah! 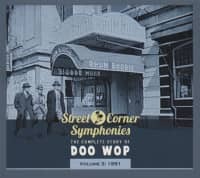 Customer evaluation for "Vol.04, 1952 The Complete Story Of Doo Wop"
Gewohnt akribisch, umfassend und hochklassig widmet sich diese Bear Family Reihe de Geschichte des Doo Wop.